The Louis Vuitton Monogram Canvas Zippy Wallet with Rose Ballerine Leather Lining isn’t the latest creation, it is an improved version of a well-known wallet made by Louis Vuitton. This, particular version is currently one of the most popular wallets of this kind on the market and due to a reason. It is made of coated canvas and it offers calf leather trimmings. Add the cowhide leather lining and you can get a closer idea how this wallet actually looks. For us, and probably for most of you, it looks impressive and extremely elegant. Of course, we must add the presence of the golden hardware which improves the overall looks of the wallet. 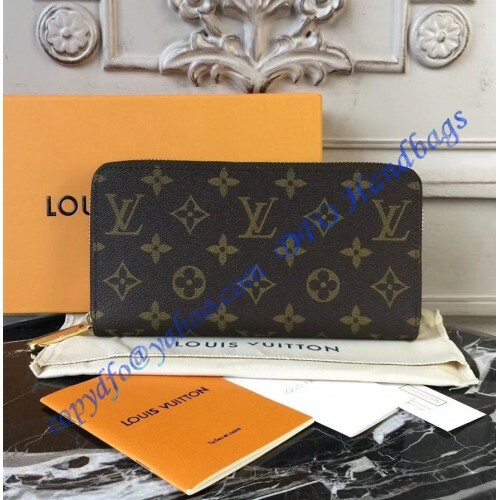 The Louis Vuitton Monogram Canvas Zippy Wallet with Rose Ballerine Leather Lining is more than just a fancy and good-looking wallet. It is also a practical creation. First of all, it comes with 12 credit card slots. This is an increase of 4 slots compared to the previous wallet. You also get 1 pocket for the coins. This isn’t all. You will also get 1 compartment for banknotes, 2 additional compartments, and 3 gusseted compartments. All of your credit cards, bills and etc. will be secured with a zipper. We can say that the wallet offers the highest level of safety for your precious belongings. 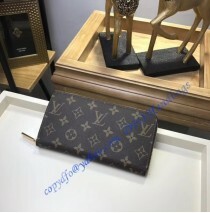 The Louis Vuitton Monogram Canvas Zippy Wallet with Rose Ballerine Leather Lining is far from an ordinary wallet. It is designed for those who are looking for style, luxury and at the same time they are looking for practicality. Basically, women who have active lifestyles will prefer the wallet in question. 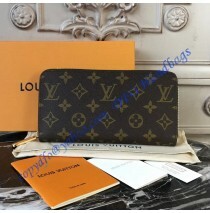 In addition, this is a classic wallet which will stay popular in the future as well. A good thing is the fact you can have it today!